Hello, comrades! I speak of course to the Russian women I have had the pleasure of. There is something about that accent that brings up all my childhood Cold War fears and translates them into lust. No doubt, their Soviet bloc childhoods taught them how to survive so they are as tough as they are hot. Not a wilting flower in the bunch. 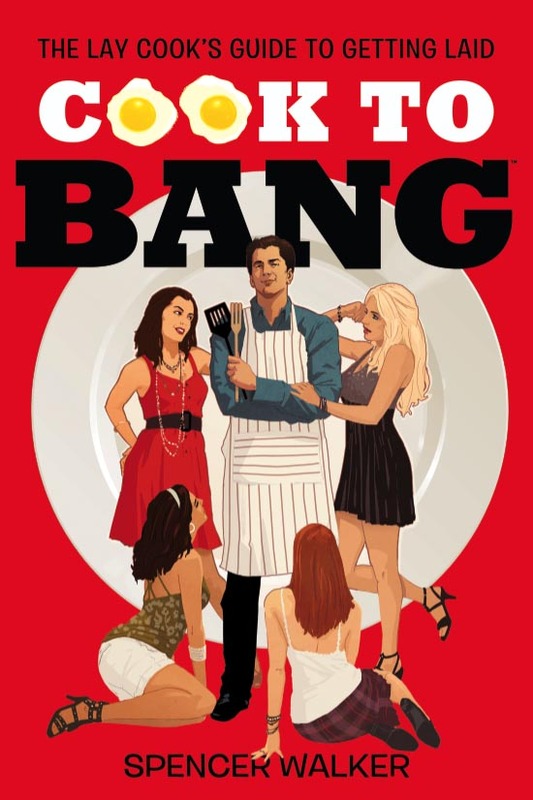 Banging someone tougher than you are can challenge your ego. But I welcome the challenge since the payoff makes my babushka spin. 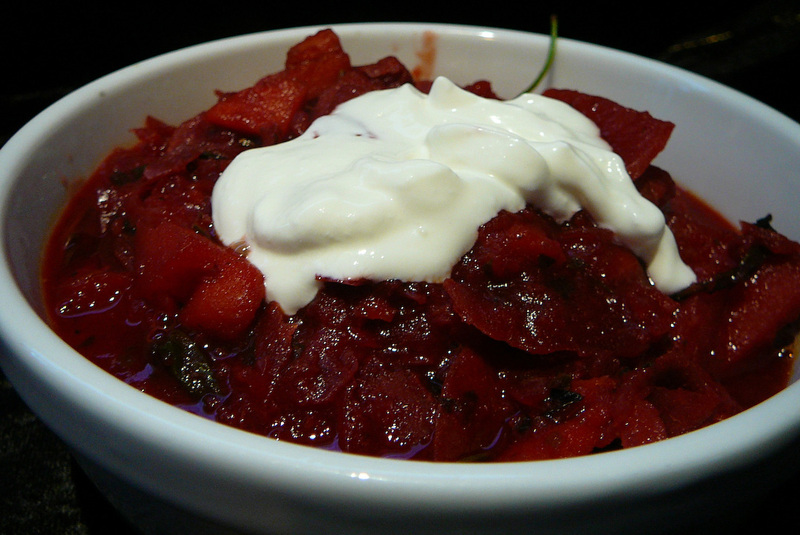 What better way to lure them in than the classic Russian dish, borsch? This Commie red soup hits the spot and nourishes the people. Even if your culinary conquest isn’t Russian, make them your comrade for the night. I’m back in the USSR! 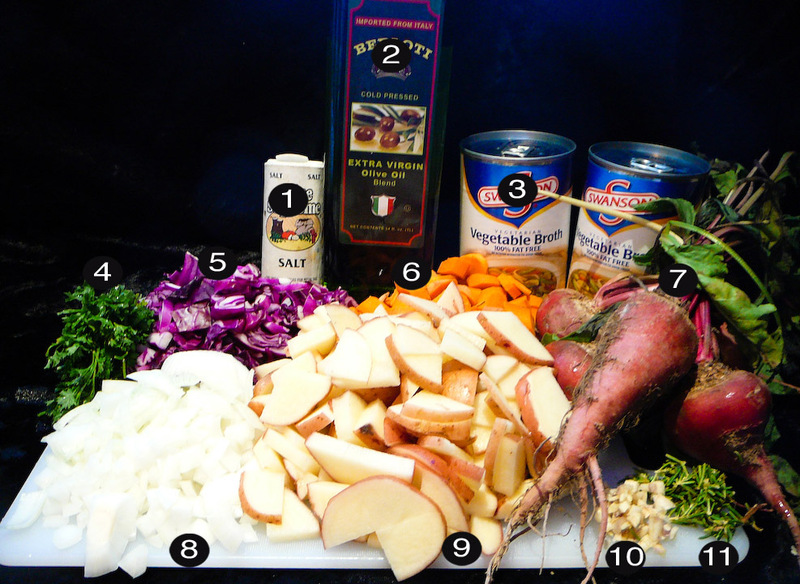 Heat up olive oil in stockpot and sauté garlic, rosemary, onions, red cabbage, carrots, salt and potatoes (approx 10 min). Move on to Step 2 as it cooks. Chop off the beet stems and tails, and peel the skin away. 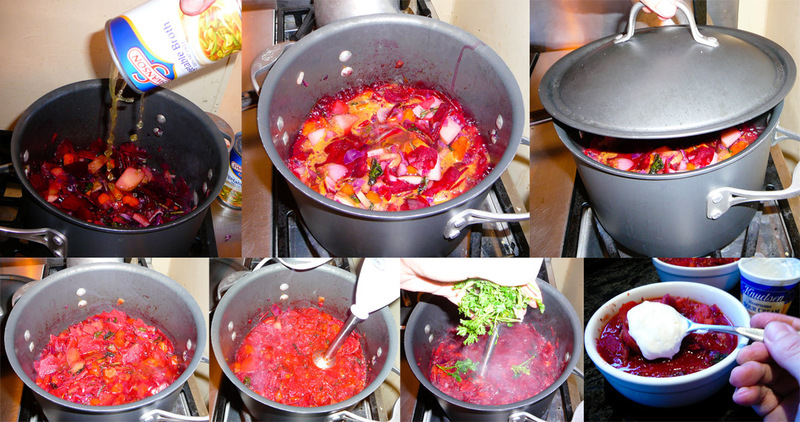 Use the peeler to shred small slivers of beets, which will make the soup cook faster. Toss them in the pot and sauté more (approx 5 min). Dump in the vegetable stock, bring to a boil, turn heat low and simmer (approx 40 min). Puree half of the soup and throw in the parsley. 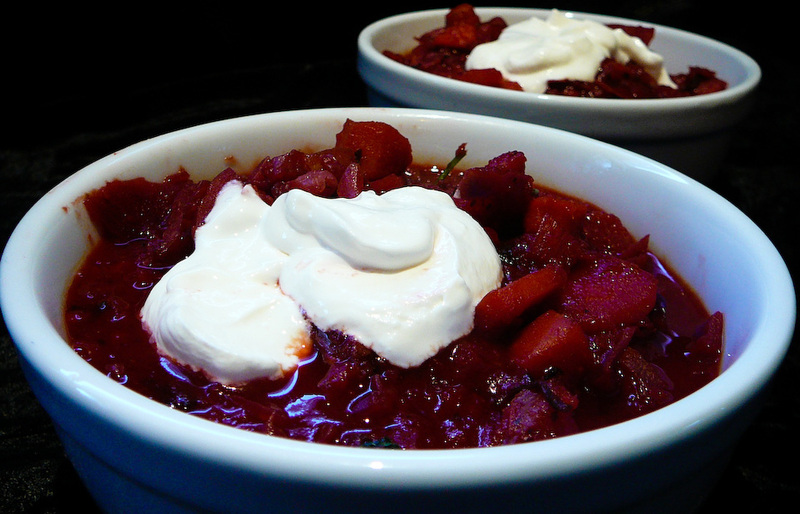 Serve up in bowls with sour cream if you want to keep your comrade warm.